I've been cutting down, thinning out, and cleaning up. Recently I've been learning about the charms (and convenience) of "easy fashion": it makes you feel good and look good but doesn't make you stress out. Just throw it on and carry on. Simple as that. The classics, the basics, the musts, quality over quantity, and minimalist-inspired...whatever the description, it really does have a purpose. I'm starting to get it now: it's a learning process because it's a philosophy. At the moment I'm on the lookout for a blazer. 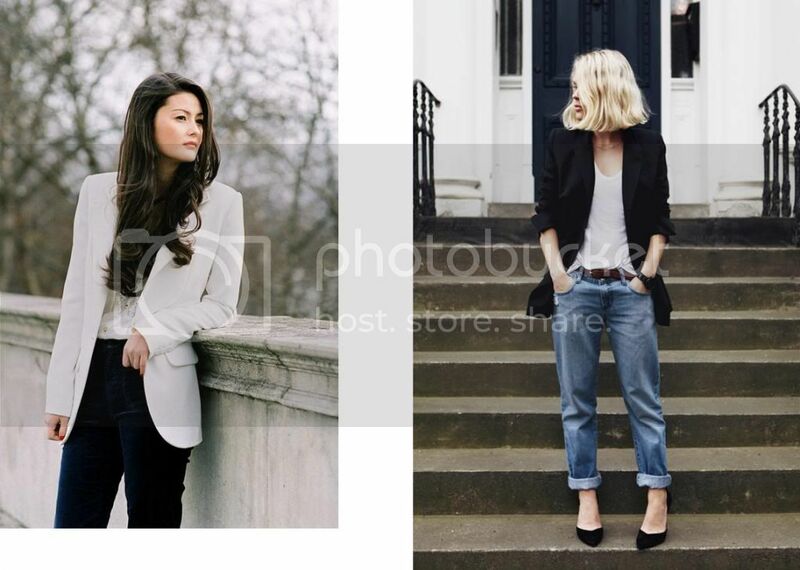 A crisp white blazer, or one of those unstructured, flowy black ones. In Rome, women revere the crisp, fresh chic-ness of a nice blazer, and they'll use it as the transformative element to whatever they're wearing. To dinner, for an aperitif, for an evening walk along the boardwalks of the beach towns, with layered jewelry, or alone. More effortless than that? Now that the weather's gotten nice, and everyone's begun to ease into summer-mode, you begin to realize that when it's hot, you can't be bothered with trying too hard.